I have lived all over the world for the last 20 years – including the UK, Thailand, Vietnam, China, Turkey, and Egypt – but I currently live in Saigon, also known as Ho Chi Minh City. I love it because it is a city in constant motion; from the 8.5 million motorcycles that flood the streets to the amazing array of street food and activity, there is always something going on. As well as being frenetic and chaotic, the people are extremely warm and welcoming, and the city is a cultural melting pot. What do you enjoy about leading tours? During the last 15 years, it’s been a privilege to lead tours through Southeast Asia because I get to show people how beautiful and interesting the culture, landscapes and cuisine are. Some of my favourite experiences include joining a family in the Mekong Delta for Tet (Lunar New Year) where we offered a bougainvillea tree and helped worship their ancestors; staying in Black Hmong and White Thai villages in a mountainous region in the north of Vietnam; having home-cooked meals with families across the region; and enjoying baci ceremonies with families in Laos. Do you have any favourite places in Southeast Asia? The old towns of Hoi An in Vietnam and Luang Prabang in Laos. I particularly enjoy wandering through the traditional buildings and trying the many cafes and restaurants. In Hoi An Morning Glory is a personal favourite and a great place to sample cao lau, white rose, and wonton – all local specialities of Hoi An. Their stuffed squid (with minced pork and local herbs) is one of my favourite dishes anywhere. In Luang Prabang, Coconut Garden is a great restaurant in a peaceful garden area at the centre of the old town. Their jaew bong (chilli with buffalo skin paste) is excellent along with buffalo stews and Luang Prabang sausage. Khaiphaen is also a good place for lunch or dinner. This vocational training restaurant (named after a tasty local snack made from dried river weed) has a varied menu offering local favourites like chicken laap along with interesting variations like papaya salad with prawn and corn fritters. Riding a bike through the surrounding villages and countryside is a must in both places. In Hoi An, cycle through paddy fields and villages before finishing up at beautiful An Bang, a beach with white sands, blue water and local seafood restaurants. In Luang Prabang, I recommend cycling along the beautiful Nam Khan and mighty Mekong rivers. You’ll travel through lime karst mountain scenery and local villages where you can learn about the production of local handicrafts, such as silk weaving, pottery and the local Saa paper made from the bark of the Saa (Mulberry) tree. If you are an avid cyclist, make your way to one of the nearby waterfalls; Tad Sae is the closest although Kuang Si is also an option if you are fit. 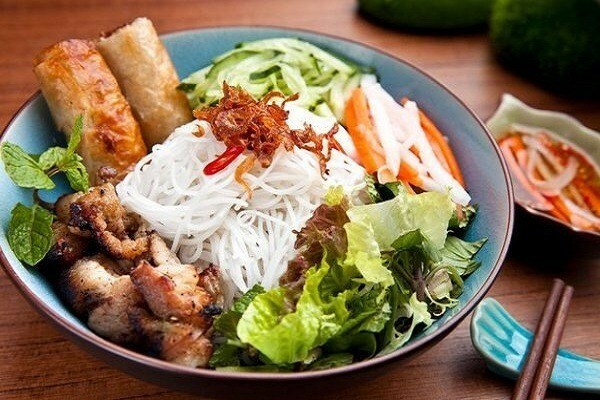 In Vietnam I love bun thit nuong, a fresh dish containing cold rice noodles, pork and fresh salad and herbs, while in Cambodia it is hard to beat fish amok. In Laos khao soi, a rice noodle soup from the north, is a great way to start the day. Do you have any top tips for first-time visitors to Southeast Asia? Vietnam: Enjoy pho for breakfast at some point; an unusual way for Westerners to start the day but provides great fortification and is an excellent hangover cure after a big night. Cambodia: Explore some of the lesser-known temples around Siem Reap. Beng Melea and Neak Pean are good choices and generally lesser visited. 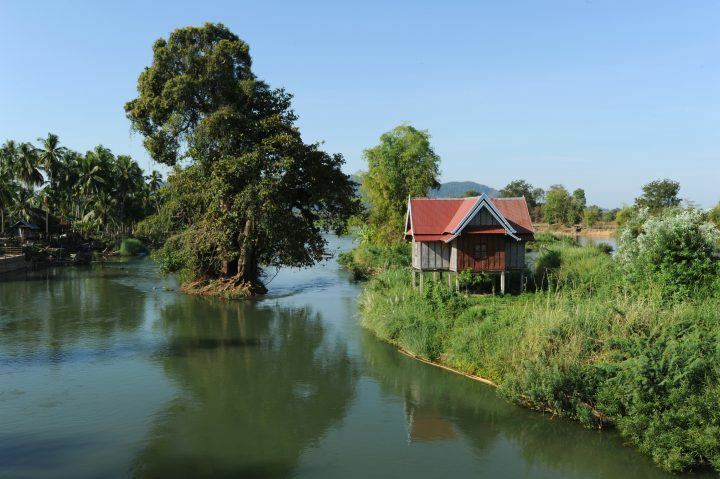 Laos: Take a journey along the Mekong. There’s stunning mountainous scenery, interesting ethnic minority villages and the Pak Ou caves. In the south of Laos, the Mekong river fans out and the area is dotted with numerous charming islands, known as the 4000 islands. There are good cycling and boating opportunities and the area is home to the largest waterfalls in Southeast Asia: the Khone Phapheng Falls. There are also the Angkorian era ruins of Wat Phu near Champasak, and the Bolaven plateau where most of the high-quality Laos coffee is grown. On an early trip to Sapa I rented a Minsk motorcycle – an iconic (in Vietnam) ex-soviet brand of motorcycle manufactured in the Belarusian capital – notorious for their unreliability. I proceeded down into the Muong Hoa valley below Sapa and spent the day riding from one minority village to another, taking in the amazing scenery, including the terraced rice fields. I needed to be in Sapa town for an overnight train to Hanoi for a tour the following day, but the bike stalled and I couldn’t get it started. Eventually I opted for a push start, but it kept taking me deeper into the valley and farther from the main road. Every time I got it started it stalled, taking me closer to the bottom of the valley where I was running out of room. Right near the bottom I managed to keep it running and with very high revs made it back to Sapa town with just a few minutes to spare, scaring everything and everyone along the way! 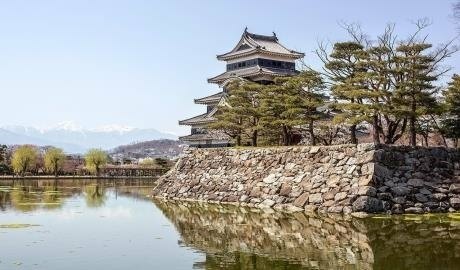 Has anything unexpected ever happened on one of your tours? On my first tour in Cambodia in 2004 I was crossing Tonle Sap lake towards Siem Reap by speedboat when one of the engines broke and we got stuck; at that time of year the water level was very low, but it was hard to tell because it was full of sediment. After trying to fix it the crew used the remaining engine to get us across, but the propeller kept dragging along the bottom. We were going nowhere. Eventually one of the crew jumped over the side, water up to his thighs, and walked through the lake to a nearby floating village where we got a tow to the next village with a local fishing boat. At each of the proceeding villages a frantic round of negotiation took place to get towed to the next one. Thanks to the kindness of the locals and some makeshift ingenuity we got to our destination! 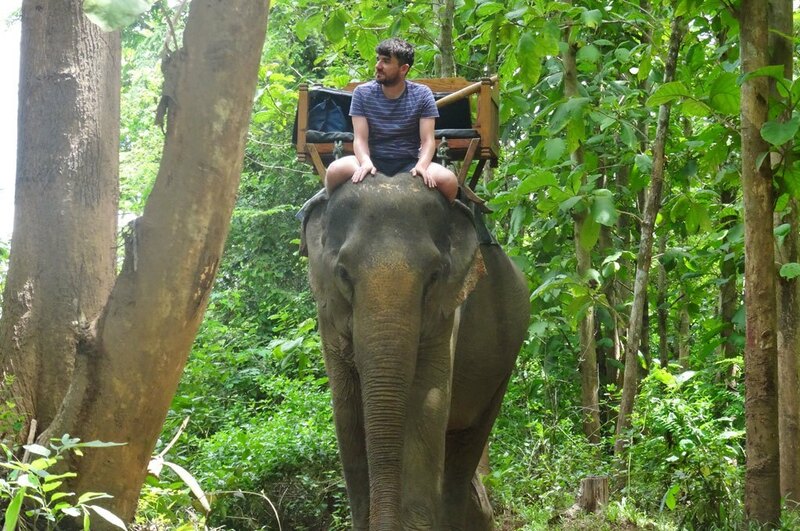 Fancy joining Aaron to make some travel tales of your own? Take your pick from our Small Group Tour departure calendar or get in touch with our team of Southeast Asia experts to find out more.